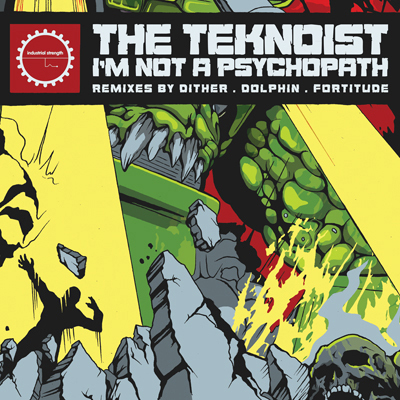 Straight off the back of The Teknoist’s last outing Tank Alligator comes 3 remixes of ‘I’m not a psychopath’ by 3 masters of their field. Dolphin supplies his trademark gargantuan robotic core, Dither does what he does best by making a 4 to the floor slammer and then there is Fortitude, who has created a breakbeat driven drum and bass roller. The EP obviously comes with The Teknoist’s original power so all in all you have something for any crowd or even just a tender moment to yourself. Buy it from Juno HERE. Check out the peer reviews of Tank Alligator HERE and purchase it HERE.